“The global release of the BlackBerry KEYone from TCL Communication has far exceeded our expectations, with our re-imagined BlackBerry smartphone now available in more than 30 countries around the world; and more coming later this year,” said Alain Lejeune, Global General Manager for TCL Communication’s BlackBerry Mobile brand. The refreshed version of the KEYOne features the same processor and design of its predecessor but sweetens the deal with a matte black finish and an upgraded 4GB of RAM and 64GB of internal storage. The original KEYOne featured only 3GB of RAM and 32GB of internal memory. However, both it and the new Black Edition can be further expanded via MicroSD cards of up to 2TB in size. The demand and excitement for the BlackBerry KEYone across the globe has been fantastic,” said Alex Thurber, senior vice president and general manager of Mobility Solutions, BlackBerry. The BlackBerry KEYone Black Edition will be available in Australia later this year for AUD $899. Former-PC World Editor Nick Ross came away particularly impressed with the original BlackBerry KEYOne. In his review, he said tthat "while it won’t suit everyone, this is one of the very best Android phones on the market to the point where it’s a Phone of the Year contender. 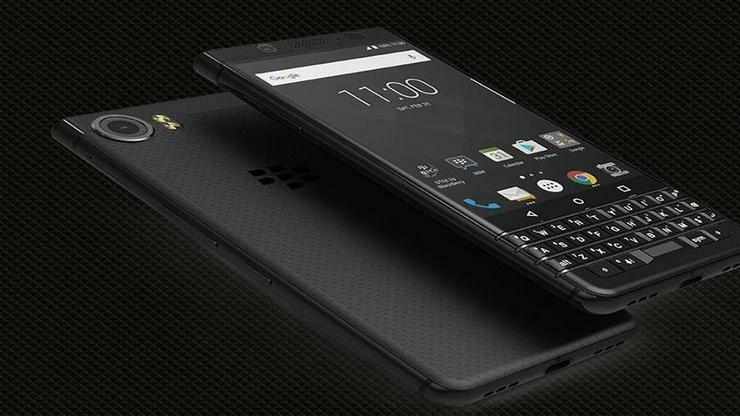 All the old Blackberry users who left for Android and iPhone have a very viable route back into the fold and Blackberry even has an opportunity to gain new customers and fans with the KEYone. We did not expect to be writing that."